ASTM A182 / ANSI B16.5 / UNS S31609 / DIN 1.4401. DIN 1.4401 Flanges, WERKSTOFF NR. 1.4401 Flanges, UNS S31609 Flanges, SS 316H Flanges, ANSI 16.5 Socket weld flange, ASTM A182 Stainless Steel 316H Slip on flange, SS 316H Flanges Supplier in Mumbai, India. SS 316H Ring type joint flange, SS 316H Spectacle blind flange, SS 316H Reducing flange, SS 316H Threaded Flanges, SS 316H Flanges Exporter, SS 316H SORF flange, SS 316H Plate flange, SS 316H Forged flanges, SS 316H Blind flanges, SS 316H SWRF flange, SS 316H Long weld neck flange, Austenitic Stainless Steel 316H Flanges, SS 316H Welding neck flange, SS 316H Tongue and Groove flange, SS 316H Screwed flange. 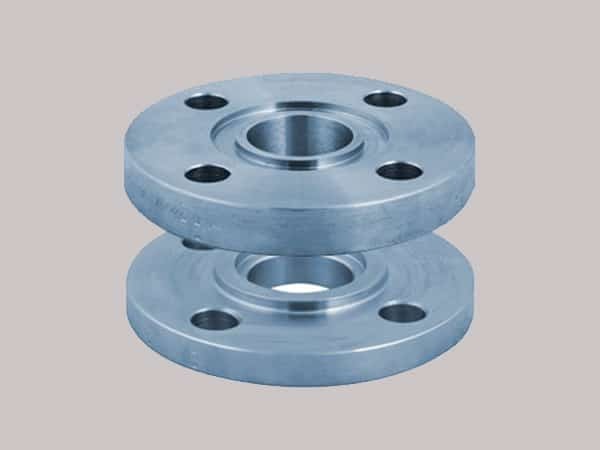 Jayesh metals offer flanges made up from the supreme grade of raw materials, provides the wide range of flanges, you can purchase as per your needs. SS 316H Flanges are excellent for marine industries counter problems like corrosion due to water, rusting due to salt water, brackish water, etc. These are processed by advanced machinery so they persists high surface finish and precise dimensions. You can buy them for long-term fittings. ASTM A182 / A240 & ASME SA182 / SA240 Standards, Dimensions are ANSI/ASME B16.5, B 16.47 Series A & B, B16.48, BS4504, BS 10, EN-1092, DIN, and other international standards. ANSI Flanges, ASME Flanges, BS Flanges, DIN Flanges, EN Flanges, etc standards, 1/2" (15 NB) to 48" (1200NB) and other customize sizes, Class / Pressure : 150#, 300#, 600#, 900#, 1500#, 2500#, PN6, PN10, PN16, PN25, PN40, PN64 etc. Flange Face Type Flat Face (FF), Raised Face (RF), Ring Type Joint (RTJ). Jayesh metals perform different material test procedure for providing excellent quality materials some of them are the positive material test, abrasion test, intergranular carrion test, radiographic test, flattening test, flaring test and do on. Afterward, flanges go through with third-party inspections. Other tests are conducted as per customer requirements. The company is ISO certified and stands in different standards, provides the only outstanding product. SS 316H Flanges are distributes in wooden box and crates, prevent products from rusting. You get the only top-notch product at your doorstep. 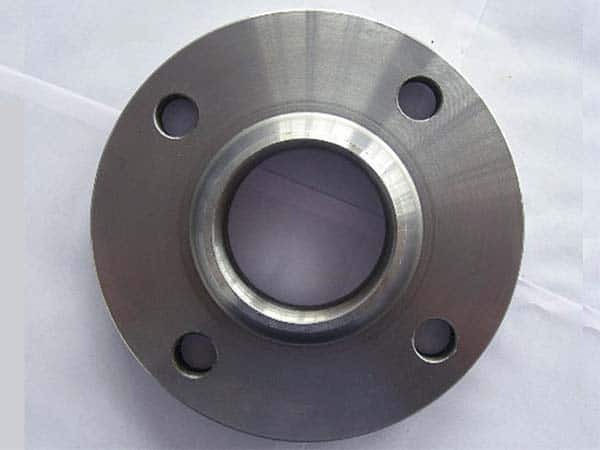 stainless steel 316h wrought austenitic flanges, ss 316h flanges pipe, stainless steel 316h pipe flanges, ss 316h flanges manufacturer in india, stainless steel sus 316h weld neck flanges, stainless steel 316h loose flanges, ss 316h flanges manufacturing companies in india, ms 316h flange manufacturer in india, ss 316h flange price list, stainless steel 316h price list, stainless steel 316h supplier in india, ss 316h flanges, stainless steel 316h flanges manufacturer, steel 316h flanges suppliers, 316h steel flanges manufacturers, 316h flange manufacturer, steel 316h flange stockholders in india, ss 316h spectacle blind flanges, stainless steel 316h flange astm, stainless steel 1.4401 screwed flanges supplier, coastal flange, ss 316h flange manufacturer india, stainless steel 316h dealer in mumbai, stainless steel 316h exporter in india, stainless steel 316h manufacturer in mumbai, ss 316h flanges manufacturer in mumbai, steel flanges price list. Saudi Arabia, Canada, United Kingdom, Italy, Serbia, Turkey, Ireland, Malaysia, Kazakhstan, Yemen, Iran, Romania, Japan, Kuwait, Mexico, Morocco, Angola, United Arab Emirates, Denmark, Poland, Colombia, Switzerland, Hungary, Lebanon, Namibia, Netherlands, Iran, Germany, Chile, Gabon, Belarus, Singapore, Bhutan, Nepal, Thailand, India, Gambia, Lithuania, Costa Rica, Philippines, Belgium, New Zealand, Greece, Oman, Trinidad & Tobago,Tunisia, Mexico, China, Nigeria, Czech Republic, Chile, Ukraine, Argentina, Algeria, Egypt, Slovakia, Bolivia, Qatar, Venezuela, Zimbabwe, Croatia, South Korea, Portugal, Azerbaijan, Russia, Brazil, Hong Kong, Afghanistan, Bulgaria, Vietnam, Libya, United States, Poland, Nigeria, Sweden, Iraq, Austria, Bahrain, Finland, South Africa, Sri Lanka, Ecuador, Australia, Pakistan, Mongolia, Norway, Spain, Bangladesh, Tibet, Ghana, Kenya, Estonia, Israel, Puerto Rico, Indonesia, France, Macau, Peru, Jordan, Taiwan. Cairo, Chennai, Dubai, Rio de Janeiro, Vung Tau, Indore, Courbevoie, Thane, Ahmedabad, Jakarta, New Delhi, Ulsan, Algiers, Pimpri-Chinchwad, Kuala Lumpur, Riyadh, Jamshedpur, Los Angeles, Singapore, Rajkot, Seoul, Nashik, Mumbai, Pune, Madrid, Ankara, Haryana, Noida, Moscow, Lahore, Ludhiana, Kolkata, Manama, Calgary, Bhopal, Atyrau, Tehran, Doha, Baroda, Bengaluru, Milan, Jeddah, Port-of-Spain, Perth, Al Khobar, Hong Kong, Houston, Thiruvananthapuram, Melbourne, Coimbatore, Secunderabad, Bangkok, Kuwait City, Busan, La Victoria, Geoje-si, Ernakulam, Gimhae-si, Chiyoda, Gurgaon, Montreal, Karachi, Dammam, Nagpur, New York, Brisbane, Petaling Jaya, Hanoi, Bogota, Abu Dhabi, Dallas, Lagos, Vadodara, Mexico City, Faridabad, Sharjah, Muscat, Navi Mumbai, Granada, Sydney, Surat, Ho Chi Minh City, Jaipur, Visakhapatnam, Ranchi, London, Aberdeen, Hyderabad, Caracas, Howrah, Santiago, Ahvaz, Istanbul, Toronto, Chandigarh, Edmonton, Colombo, Al Jubail, Kanpur.